Now And Then features works from Roselina Hung, Ross Kelly, Ewan McNeil, David Marshall and Bettina Matzkuhn. Curated by Chris Keatley, the works of this exhibition explore multiple aspects of time in the past and the present. All participating artists have previously shown at Pendulum over the past decade. To look back at the arc of one’s chosen path, to look ahead to journeys yet to unfold, to map the metaphorical, to embed memories and people in objects, to explore change; all of the work in this exhibition picks apart the the theme of time. Another further extension of this thread of time, each artist showcases a selection of older work alongside new works. Roselina Hung uses drawing to conjure love and remembrance. 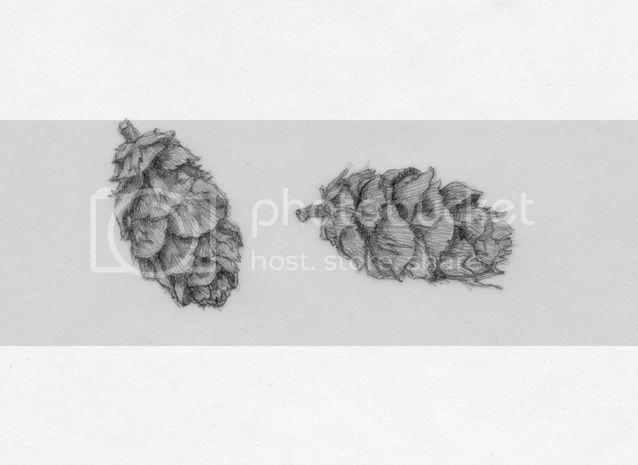 In Rejected Memories, Hung drafted a selection of intimate pencil drawings. Seemingly random, like a delicate section of braided hair or the top fronds of a palm tree, this suite of illustrations serve as a symbolic offering. They represent the artist’s attempt to extract specific personal memories of former loved ones and render them into a physical apparition. Hung summons past memories, channeling them into a single representative object. Unknown to the viewer the significance of the memory, each item kindles inquisitiveness and concentration. 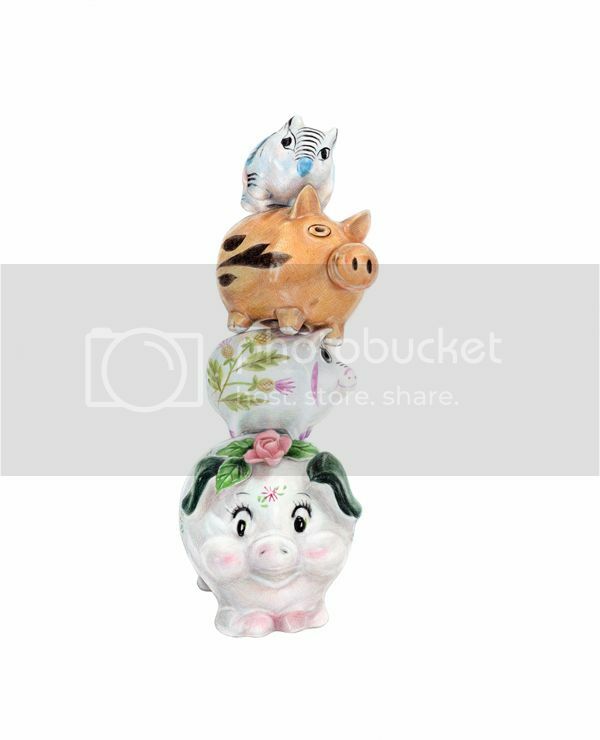 The Rejected Memories series is shown alongside a drawing couplet featuring stacked piggies isolated on a white background. Equal parts investigation, therapy and appreciation; Hung worked on this series as a way of processing her grandmother’s need to collect things. A compulsion that has developed with intensity in conjunction with the progression of her Alzheimer’s condition. Hung states, “In the drawings, the individual piggy banks are shown stacked one on top of each other, underlying both the totemic and cumulative effect that go to the heart of our obsession with objects and their power in our lives….We collect memories throughout our lifetime, only to start losing them in the end.” The kitschiness of these little piggies is familiar and spirited. Yet the presentation of the collection, the tenuous stacking of breakable objects, suggests fragility and isolation, a reflection of what memory is. Beautifully rendered, sweetly poetic and deeply personal, Hung brings these sprightly characters of to life. Ross Kelly used Now And Then to explore the larger questions present in all art practices. In selecting work for the exhibition he observed how “defining who we are and what our culture means is possible only through positioning ourselves [in relation] to other things and how that definition becomes blurred when those other things change or shift.” Kelly works in photography and photo-collage. Several of the works on display posit this presumption. 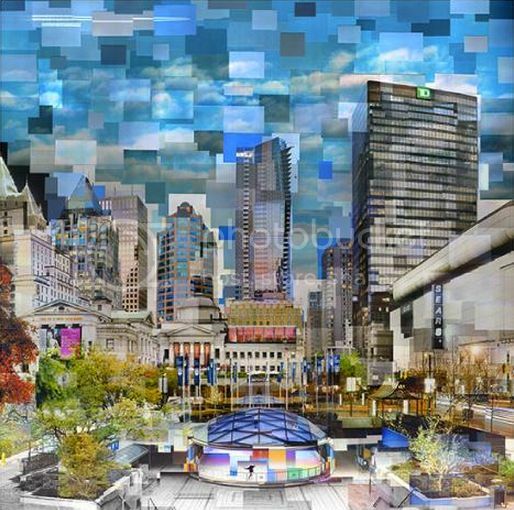 Vancouver Art Gallery, for example, is a configuration of multiple images of the same place, but taken at different times. An intense experiment in the formation of contrast and comparing. This series highlights the construction of memory: experiences building up from particular places and times. Also striking, Kelly’s Elsewhere series; a recent body of work where he creates tall column diptychs of two different locations. 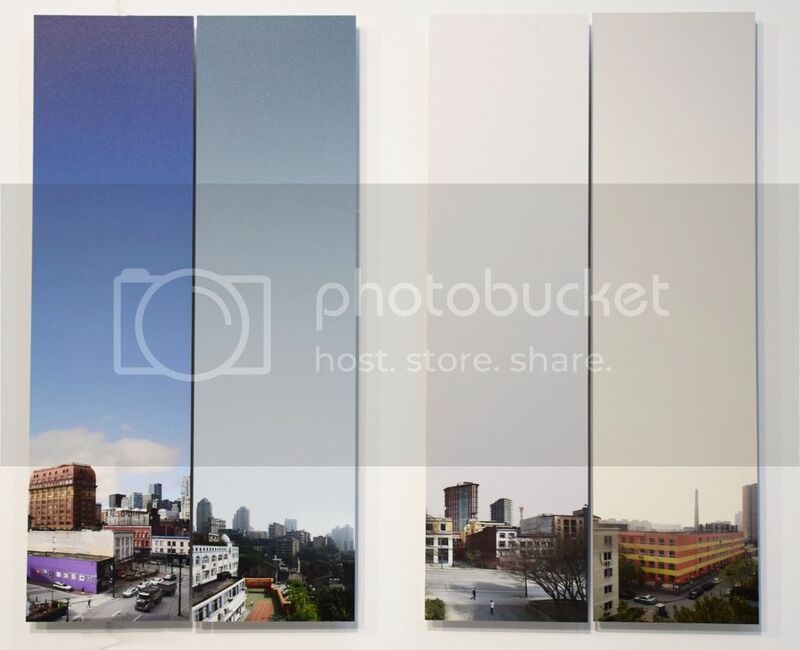 Each diptych features buildings and structures in the bottom one-eighth of the composition, the remaining seven-eighths are filled with unobstructed sky, an expanse that accentuates a different vantage of space and time. The macro and the micro are at play, as is the phenomenology of endings and beginnings. Kelly asks visitors, to think about how they situate themselves in this world. Ewan McNeil works across mediums in photography, painting collage and sculpture. McNeil’s practice is an ever evolving investigation into the idea of becoming. His meticulous black and white hyper-realistic paintings reflect the constant flux of our landscape, each painting in its stark contrasting state uses props such as scaffolding and substructures to reflect on permanent impermanence and the shifting speeds of time within our world. His sculpture and collage acts in a similar manner. Multi-angular, one must move around the work repeatedly, constantly reconstructing meaning. From perforated printing paper and recycled cardboard to reflective bits of signs and paint, McNeil employs an array of materials in is sculpture work. These works seem to continuously morph and shift, and given his use of materials, this configuration is but one on this works’ journey. Although abstract, many of David Marshall’s works have a strong figurative presence. The height of the works and the bodily appendages allow visitors to relate to the work on a one to one human scale. Similar to Ewan McNeil’s work, Marshall’s wooden sculptures reflect on change, in particular, the fluidity of change, sharp edges twist into curves and angular blocks morph into spheres. The works are in a hyper-active, yet also frozen in time. The repetition of shapes and forms in the works reinforce the idea of now and then: like a mantra that is repeated endlessly, and a prayer necklace that has no end and beginning, there is only the interstitial space of the between time. For those who are really looking at the works, they will find that they are constantly moving. Bettina Matzkuhn takes visitors through past and future by way of mapping. 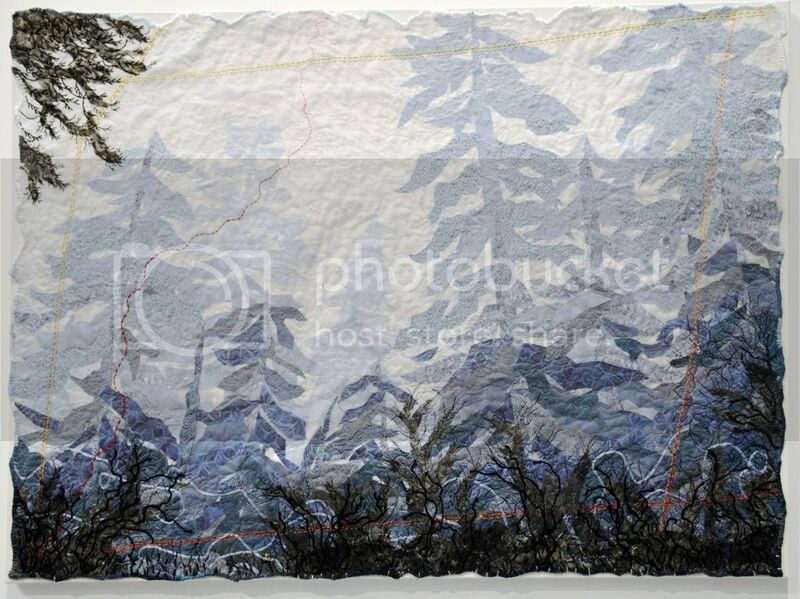 She offers up complex cartographic textile based works that explore exterior landscapes as well as interior ones. 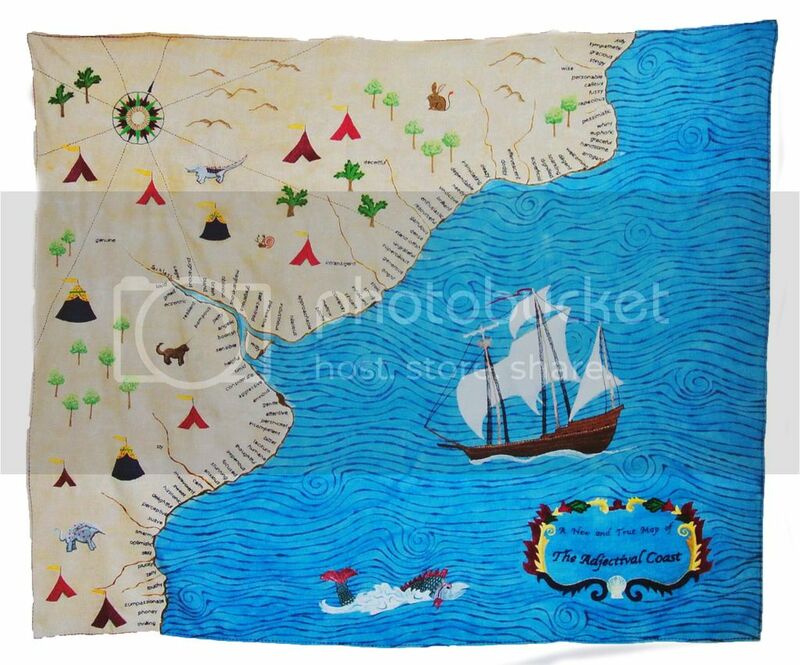 Matzkuhn’s A Map of the Ocean has no real markers or points to position oneself, the artist attempts to evoke confusion and to invite the viewer to question: do we always need to know where we are going? Isn’t there something exciting and dangerous in the unknown? Matzkuhn’s The Adjectival Coast outlines an actual physical coast where all the locations are adjectives that would be used to describe and individual. The work is crafted as though it could be a map for a far away kingdom in a far away land. There is some kind of sea creature hovering in the water near a large archaic sailing vessel. She takes visitors to the magical kingdom of ‘the other’. “I can sail up to a person and form an opinion from what seems evident on the coast, leaving what lies in the interior to the imagination – a highly inaccurate form of mapmaking”, an interesting observation Matzkuhn made on this work. Maps reveal the passage of time, unveiling history and the present in the form of presentation, notes, scratches, tears and centuries old vs. contemporary terminology. Creating stories, both real and imaginary, melding the familiar with the unfamiliar, Matzkuhn highlights how important it is to be aware of the journey throughout the passage of individual and collective time. 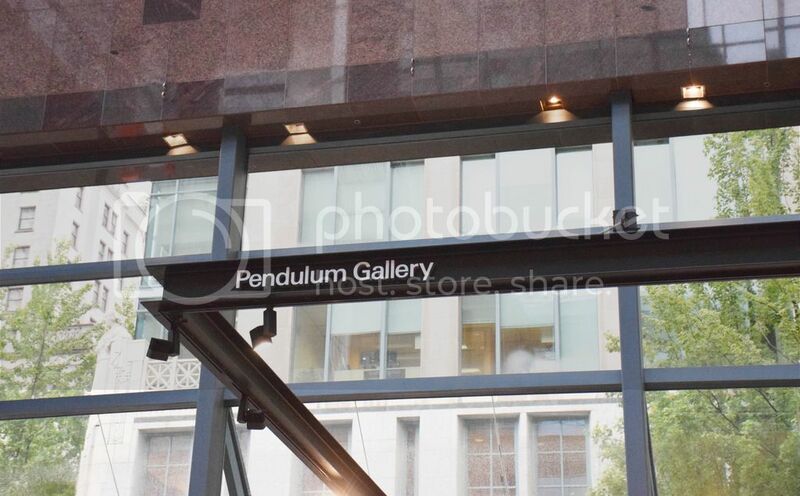 Located in the atrium area of the HSBC building at 885 West Georgia, the Pendulum Gallery exhibition space can be seen through the large windows on both Georgia and Hornby. 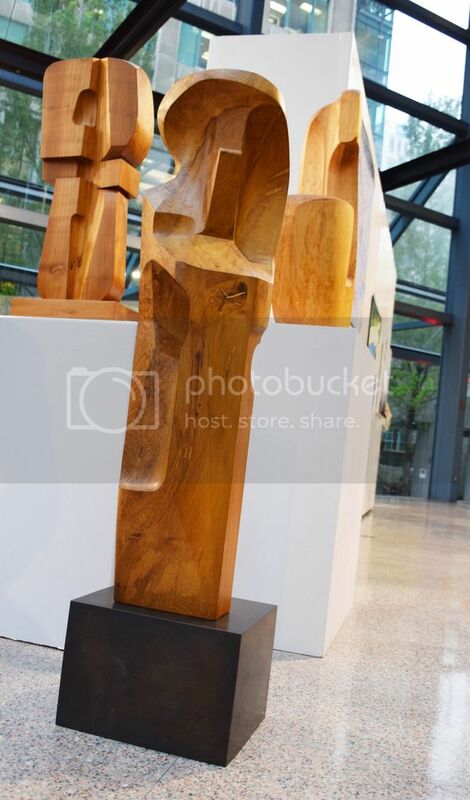 The building opened in 1986, the atrium area, which also houses Alan Storey’s Pendulum installation, was allocated as a cultural space via the City of Vancouver and the buildings primary property developer nearly 30 years ago. Originally, the ground level was designated as a space to house and feature a variety of cultural activities. In the first few years of its existence, it was primarily performance focussed. 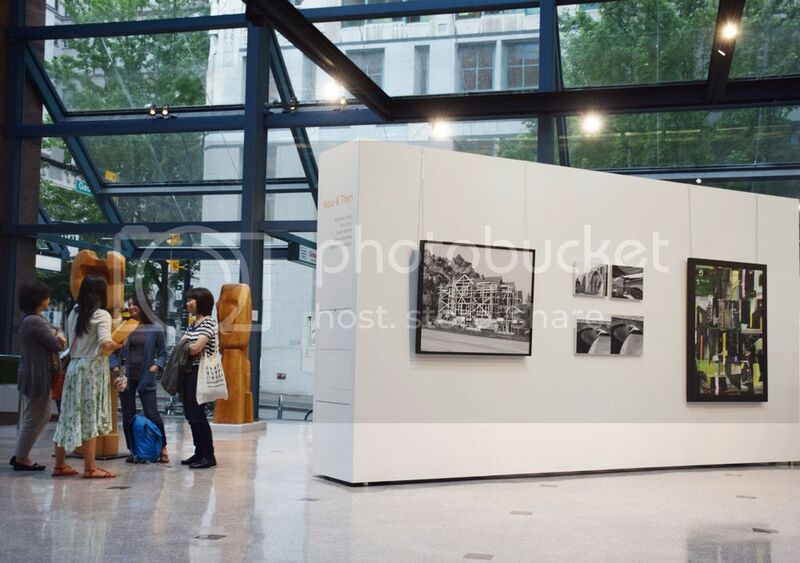 In the 90’s cultural activities shifted towards visual art and eventually a panel exhibition system was acquired. Curator Chris Keatley told VIA that the space really formalized as a dedicated visual arts space in the 2000’s. Keatley has been the curator of the Pendulum Gallery since 2006. Just a week or so ago, the gallery newly opened after construction on the exhibition space: a lengthy process involving four years of consulting and designing and eight months of construction. The new space is bright, clean and efficient. It incorporates two primary large pivoting walls for exhibition, these also are designed to house the exhibition supplies and materials. Pendulum also has twelve additional exhibition panels, allowing for an infinite array of set-up scenarios. The re-visioned space was designed by architect Marko Simcic of Simcic Uhrich Architects. Simcic also included a non-intrusive and highly effective lighting structure that blends with the architecture of the building’s atrium. When asked about what makes the space unique, Keatley stressed the importance of the range of exhibition sizes and styles it can now accommodate. He also deemed equally important the fact that the space open to the public. Anyone can come across the work by chance, if they are headed to the building on business, or if they see it from outside. They are free to come in and explore. The space has expanded visiting hours, is very well-used and highly visible which results in optimal exposure for exhibiting artists. 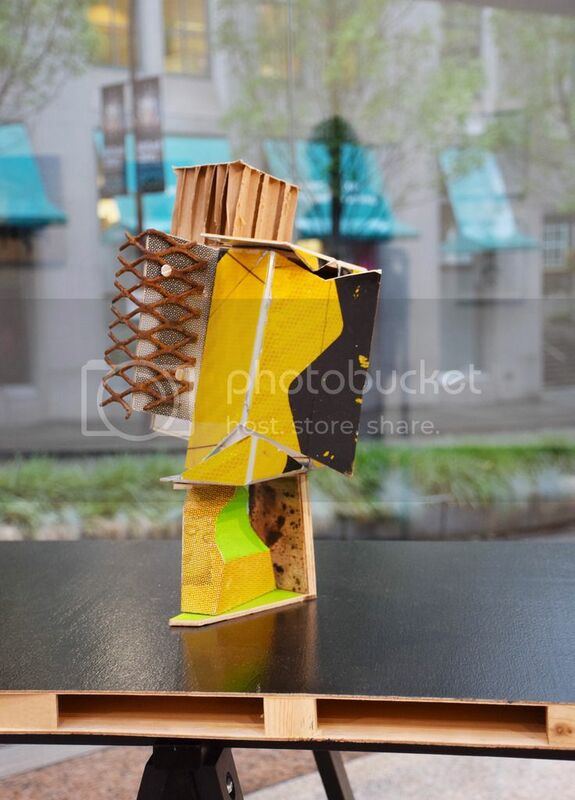 The Pendulum Gallery programs approximately 14 exhibitions in a given year, some of these are curated exhibitions by Keatley, others are outside exhibition proposals that have been approved by a programming committee. The scope of the type of exhibitions and the works shown is inclusive. The mandate of the Pendulum is to open up programming to outside individuals and challenge traditional exhibition formats. The gallery accepts proposals that aren’t strictly art-focussed, like fashion proposals, graphic design, architecture and historical photos. 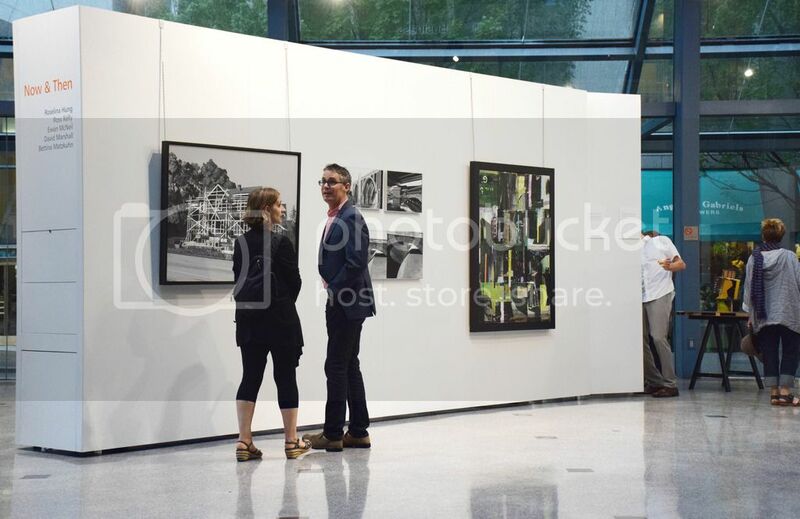 Pendulum also annually works with Arts Umbrella exhibiting the Splash Auction Artists, Capture Photography Festival, and Canstruction. The gallery has open calls for proposals which comes out annually in December. Proposals are reviewed by a panel and selected artists/curators have the opportunity to put on exhibits in the following year. Previous article10 Vancouver Area Lakes to go Canoeing in!